CellMax Life said today its CMxTM circulating tumor cell (CTC) platform and liquid biopsy panel will be used by Medigen Biotech in upcoming clinical trials of its cell therapy candidates for cancers, with the goal of assessing treatment selection and response. The upcoming trials include a planned Phase I study of Medigen’s NK cell therapy in patients with Stage II and III colorectal cancer that has been surgically resected, or surgically resected and treated with chemotherapy. CellMax Life said it will use its CTC blood test to monitor patients multiple times, with participants who test positive to receive the cell therapy in the open-label, multi-center, single arm trial. The blood test is designed to isolate and analyze both CTCs and circulating tumor DNA from a single sample of blood, in order to assess six types of analytes including four classes of genomic alterations, micro-satellite instability and circulating tumor cells. 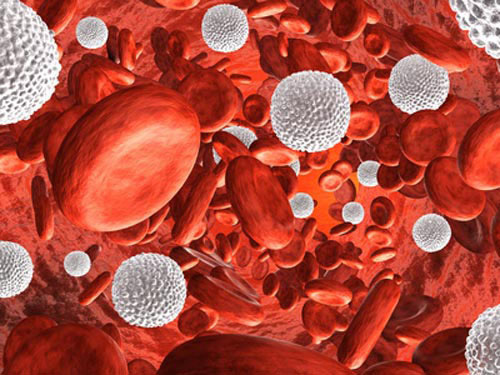 CellMax Life says its CTC blood test can detect a single cancer cell among 1 billion healthy cells. The test includes a report with a risk score and classification as “low”, “borderline” or “high risk” for colorectal cancer; recommended follow-ups based on the patient’s risk classification; and a review of test results by board-certified physicians. “For this clinical trial, we needed a non-invasive blood test that can be used to screen for initial treatment selection, but also used multiple times during the course of treatment to monitor patients,” Stanley Chang, MD, PhD, Chairman and CEO of Medigen Biotech, said in a statement. The American Cancer Society has estimated the nation saw 97,220 new cases of colon cancer and 43,030 new cases of rectal cancer in 2018. Colorectal cancer is the nation’s third leading cause of cancer-related deaths, with about 50,630 deaths expected to have occurred during 2018. Atul Sharan, Co- Founder and CEO of CellMax Life, cited the $14 billion estimate for annual cost of colorectal cancer treatment, which was first published in a 2011 study published by researchers at the NIH’s National Cancer Institute. “Medigen’s vision to develop innovative cancer therapies especially for the earlier stages of cancer when it is most treatable, is very much aligned to CellMax Life’s mission to reduce mortality from colorectal cancer. We are pleased that the coming clinical trial would bring benefits to colorectal cancer patients,” Sharan said.